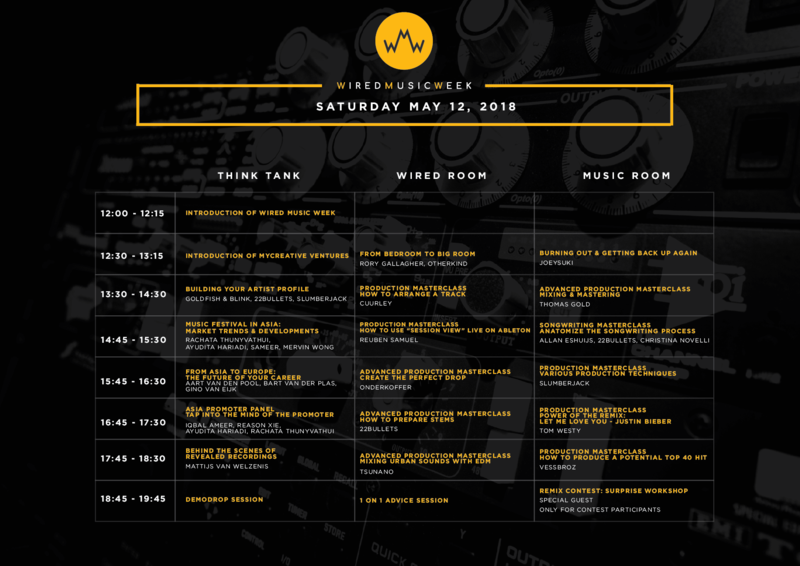 Wired Music Week (WMW) is upon us and the organizers have tied all loose ends and added finishing touches to its programme for the weekend. 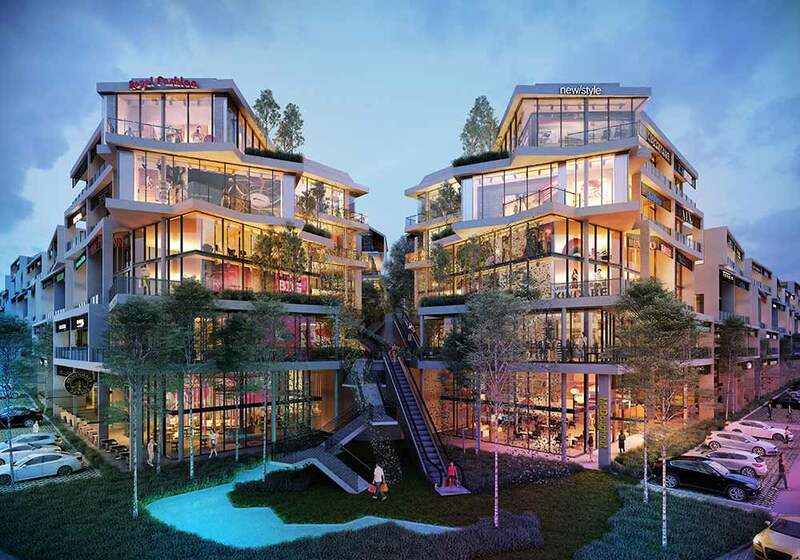 The event kicks off on May 11th with launch party at Club Chaze in Petaling Jaya and it continues with the conference itself on the 12th and 13th at Tamarind Square in the silicon city of Cyberjaya. Through curated seminars, workshops, panel discussions, demo listening sessions, master classes and even club nights, aspiring artists can immerse and engage with industry leads for immediate feedback. Additions to the programme include several prolific speakers, dynamic panel topics, multiple masterclasses, after parties and a contest that will send one budding musician to Amsterdam. Together with DJ Irwan, one of The Netherland’s most revered open format DJs, one artist will win an all-expense paid trip to showcase their talent at the Amsterdam Dance Event, or better known as ADE, this October. The event brings together the world’s most famous DJs, producers, manager, agents and industry heavyweights alongside an enormous list of rising stars. Additionally, event sponsors like MyCreative Ventures that provides funding facilities to Malaysia’s creative communities, DJCity will offer a trial 30-days account to DJCity Record Pool that will require sign-up on site. Splice will be are offering 30-days of free access for ticket holders that will grant them access to Splice Sound and have also partnered with Revealed Recordings on a remix contest. 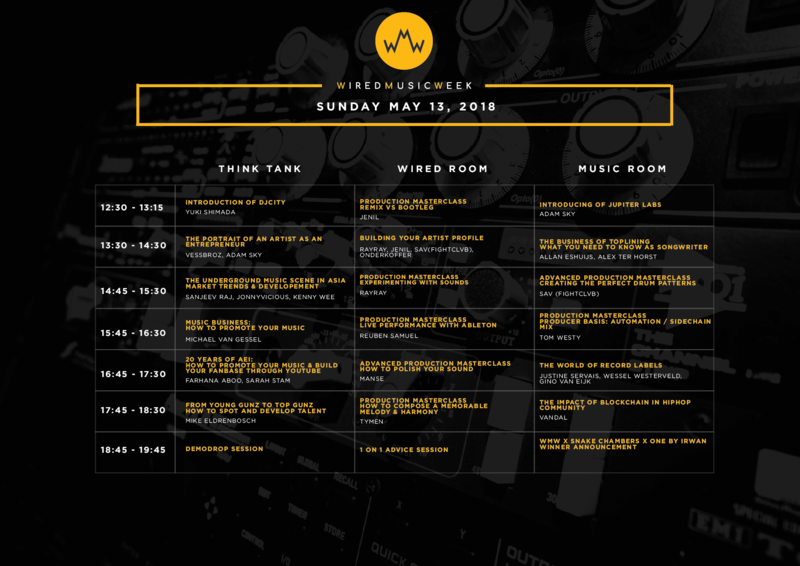 Wired Music Week will aims to link some of the brightest minds in the music industry to encourage creativity and innovation within the scene. The line-up consists a range of event promoters, record label heads, venue representatives, artists, talent and industry delegates from local, regional and international communities spanning Germany, Australia, The Netherlands, the UK, Taiwan, Philippines, Japan, Sweden, Malaysia and Thailand. Find out how you can get involved in Wired Music Week here. Check out the weekend schedule below.